We looked at the top 1 Kayaks and dug through the reviews from 5 of the most popular review sites including BestReviews, Kayaker Guide, Fishing Kayaks Guide and more. Through this analysis, we've determined the best Kayak you should buy. 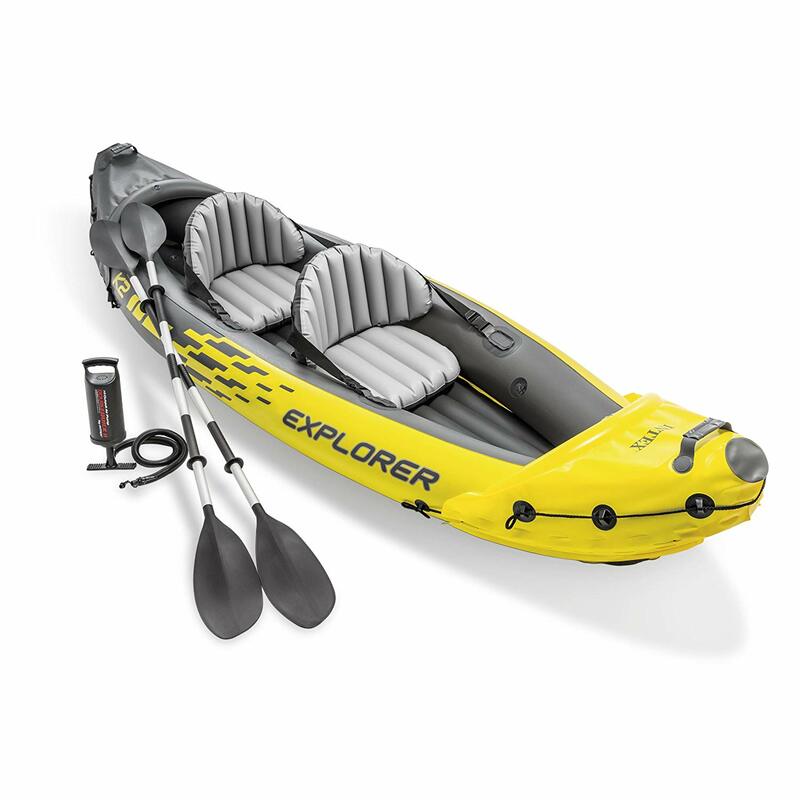 In our analysis of 66 expert reviews, the Intex Intex Challenger K1 Kayak placed 9th when we looked at the top 10 products in the category. For the full ranking, see below. Works well for teens. Good quality and functional. feels sturdy in the water. A good price point for getting kids involved with kayaking. We were impressed with the storage space in the boat, a large area behind the seat can fit a small cooler, while the cargo net area at the front is perfect for stuff that you’ll want quick access to while you are on the water. With 2 colors to choose from and eye catching graphics on its exterior, it’s easier for other folks and vessels to be able to spot you. This is where the Challenger K1 really shines; the excellent value it offers you for its price. If you’re on a budget or just not ready to invest several hundred dollars in a kayak, the K1 is going to be one of your most affordable options for getting out on the water. 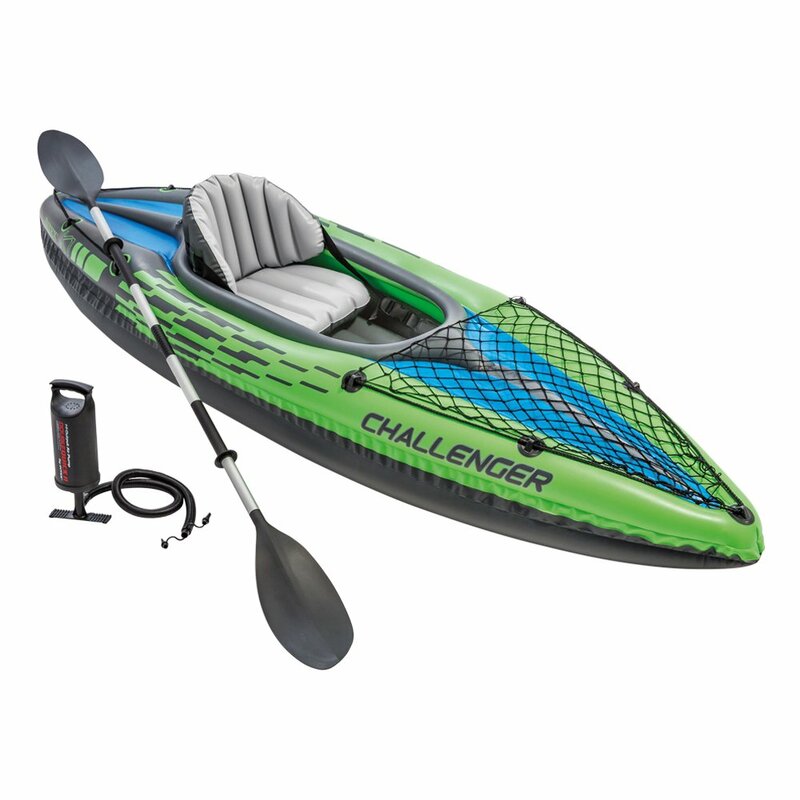 The Intex Challenger K1 is super lightweight coming in at only 27.2 pounds. At this weight, anyone can lift it, maneuver it and use it without any issues. Since it is inflatable it can lose air and it is not as sturdy as the molded plastic models. Rudder is removable which is excellent for when the kayak is stored. However, it has a tendency to come off relatively easily when the kayak is in use. The included paddle is somewhat flimsy. The fact that it is inflatable is also a bad thing especially for those that want to use it to fish. Being made of plastic can pose some issues with hooks. 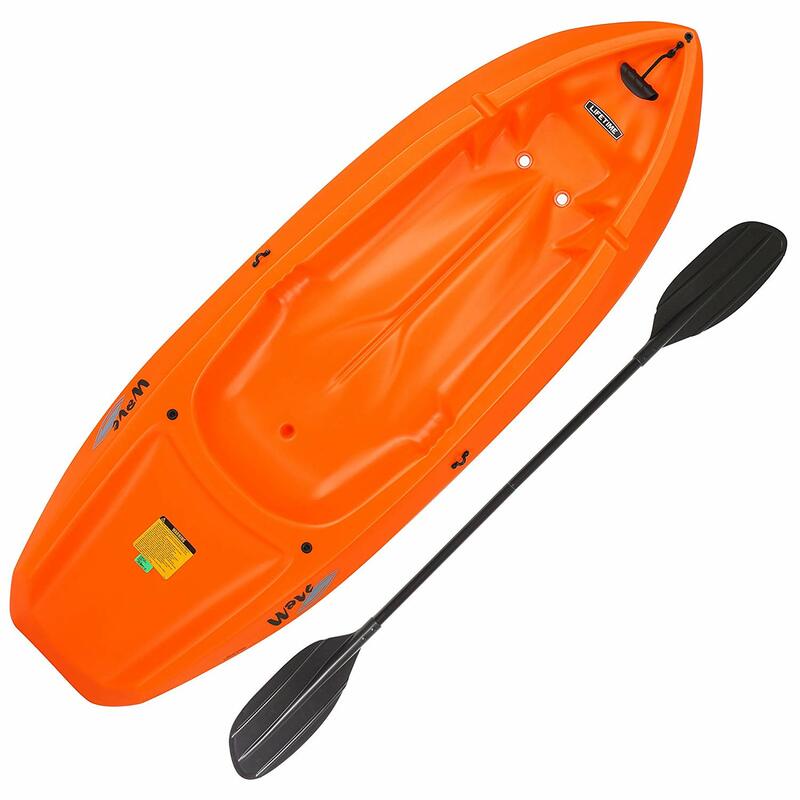 Nimble, durable kayak is made of durable welded material with eye-catching graphics for added safety on the lake or slow-moving river. Cockpit is designed for comfort and maximized space, and inflatable I-beam floors add stability. Cargo net to store extra gear, and grab line on both ends of kayak; inflatable seat with backrest. 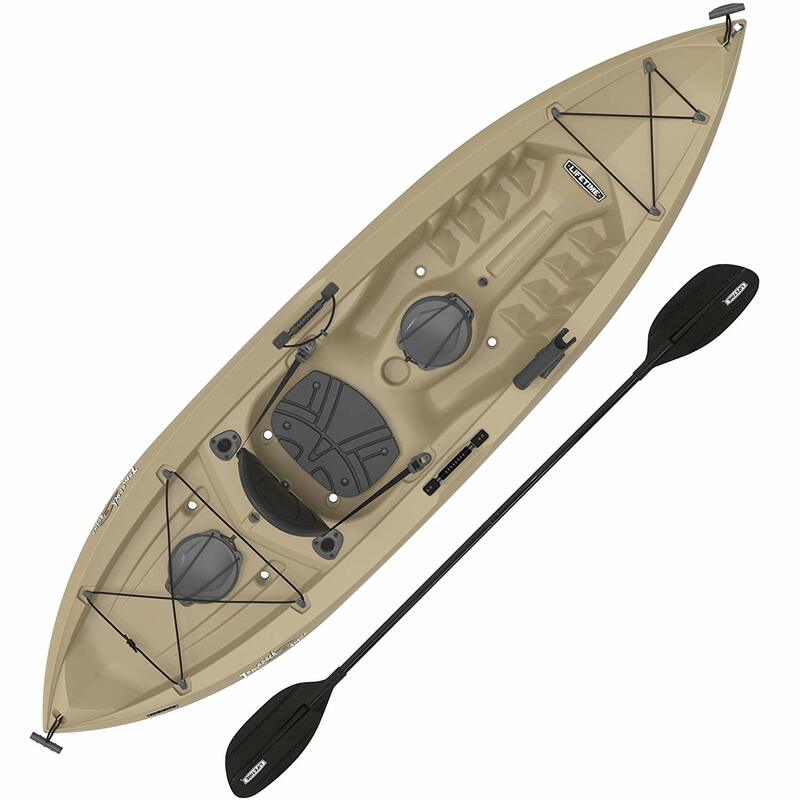 Comes with 84-inch aluminum oar, repair patch and Hi-output manual hand pump. Rugged vinyl construction.